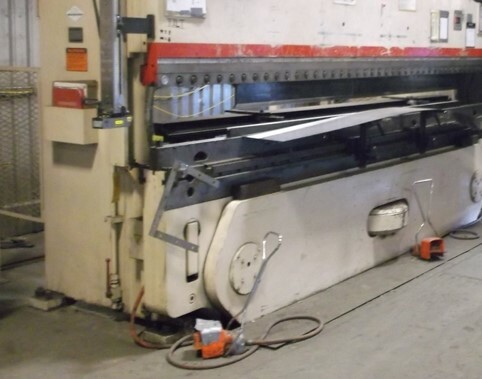 Use of machines such as press brakes and mechanical power presses are still commonplace in manufacturing throughout a variety of industries. Over the decades there have been numerous improvements in safety technology available for this equipment that includes light curtains, motor control systems and A/B gate systems. That said, many antiquated pieces are still in service often with no safety features at all and poor if any maintenance. Compounding lack of basic safety features is the nature of the work itself. Tasks often requires holding the workpiece in the machine or in close proximity. Some press work may require multiple entries into the die for production of small or difficult to extract parts (like rings). Since machine operation is typically high-frequency production, reducing the likelihood of injury is a key risk reduction area with potential for significant risk reduction and return on investment (2010 average cost of amputation claim survey estimated over $65,000). Do you have an exposure that your company is struggling to get under control? Let us know, and we’ll dedicate an upcoming blog to that topic.